Pale greyish green nephrite jade, silver wire and ruby, fashioned using a variety of techniques. 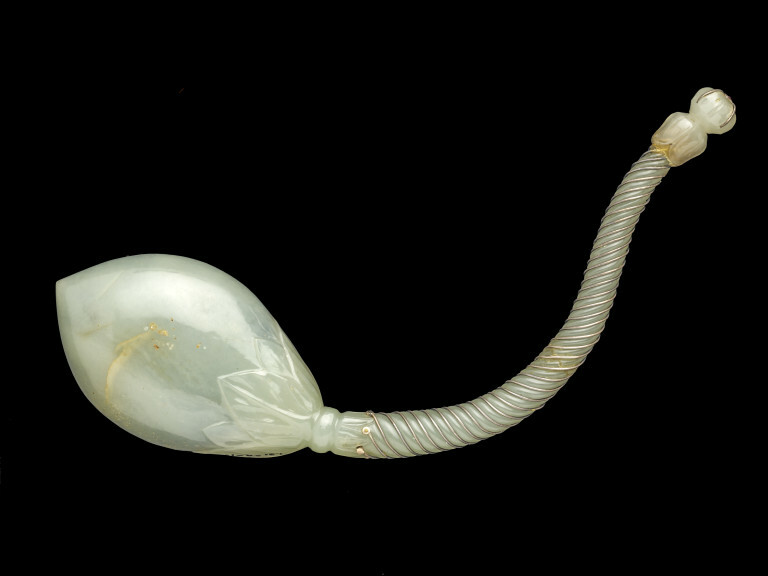 This spoon has been fashioned to a high standard in nephrite jade within the Mughal empire, probably between about 1650 and 1750. The gently tapering twist to the contorted handle would have required great skill to make from a single block of nephrite, a hard and intractible material. The spiralling ribs are emphasised by silver wire, which is also applied to the flower-bud finial set with a small ruby cabochon. 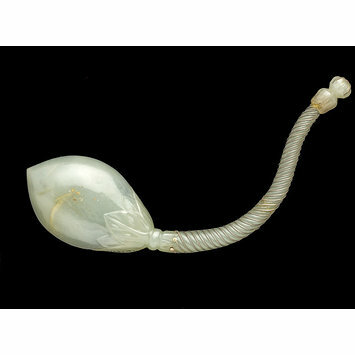 A spoon fashioned in pale green nephrite jade with a finely worked bowl, carved in the form of half of a poppy bud. The integral handle has been carved as a six-strand spiral that tapers towards the end distant from the bowl. There are strands of silver wire attached to the handle which follow each groove in the spiral. 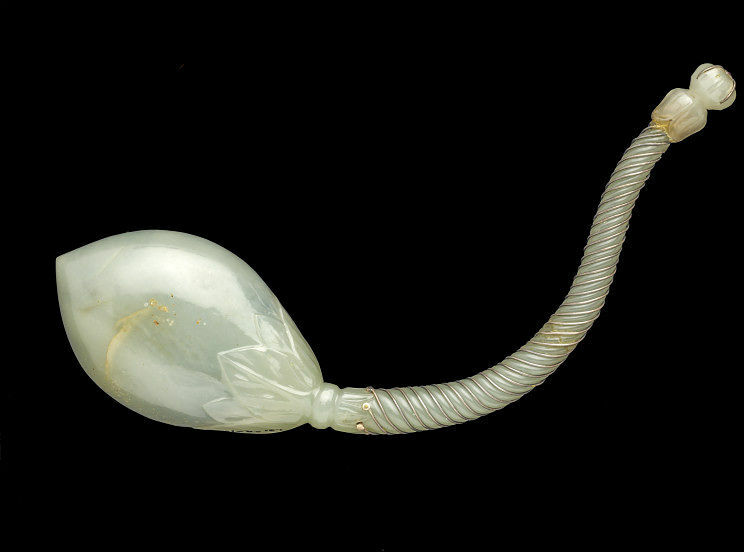 The handle is contorted, successively bending in different directions and at the end is an attached terminal that is waisted and carved in the form of a bud, with silver wire at the end together with a small, inset ruby cabochon. There is evidence of a break in the middle of the handle which has been repaired with glue or resin. This spoon was bought by The Victoria & Albert Museum in 1968, from Mr. J. J. Fohan for the sum of £50-0-0.